A romantic lagoon side ceremony, pre dinner drinks & canapés in Reflections Bar followed by a private reception and stylish accommodation onsite for all your guests. This is your wedding at Oaks Oasis! Join us on Sunday 24 February on the beautiful Sunshine Coast for our 2019 Bridal & Formal Showcase. Experience for yourself Oaks Oasis Resort’s breathtaking backdrop, superb facilities and impeccable hospitality as you tour our ceremony and reception venues. Take time to meet with local suppliers, designers and wedding experts to create a truly memorable wedding. Entry is FREE with complimentary canapes and bubbles upon arrival. Just an hour’s drive north of Brisbane on Queensland’s beautiful Sunshine Coast, only metres from the sun-drenched sand and clear ocean waters of Golden Beach, sits Oaks Oasis Resort. Set on 10 acres of landscaped gardens, the resort offers a wide variety of accommodation styles, a restaurant, bar and lounge. Imagine being able to accommodate your guests in stylish hotel rooms, a romantic lagoon side ceremony, pre dinner drinks and canapés in the Reflections Bar followed by a private reception with exquisite table linens, beautiful floral arrangements and great food. This is your wedding at Oaks Oasis Resort. A variety of unique indoor and outdoor ceremony locations, multiple reception venues, and stunning lush backdrops of landscaped tropical gardens, lawns, lagoons and the beach only minutes away, Oaks Oasis Resort offers endless options for designing a beautiful Sunshine Coast wedding. 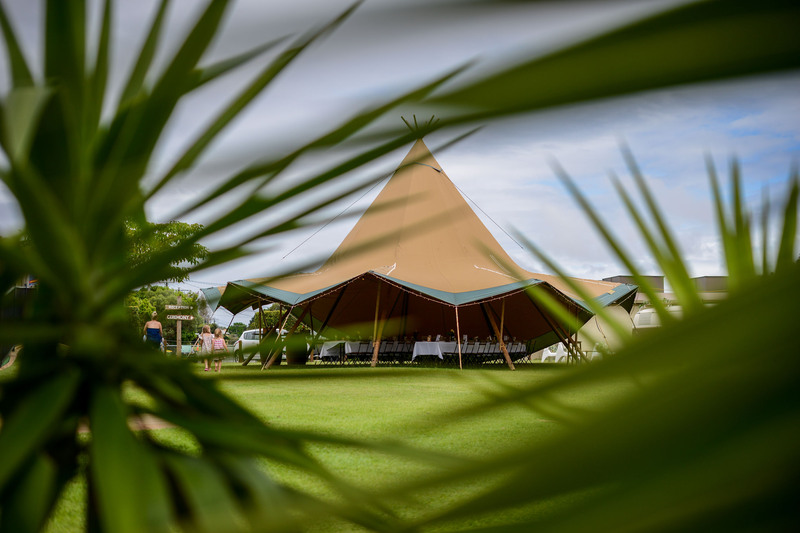 Choose from an intimate outdoor ceremony at one of our beautiful lawn areas, a gathering at the Reflections Restaurant with drinks around the water, an elegant affair in our Verandah Room, a beautiful Tipi Reception overlooking the lily filled lagoon or a cocktail party in Reflections Bar. No matter your preference, we have something to suit weddings of all sizes and styles. An experienced wedding planner will work with you to ensure that the special day you have dreamt of becomes the perfect day you will always remember, helping you with every detail, from the flower arrangements and music to the cake and even the bomboniere. During your celebration, our attentive yet discreet service will allow you and your guests to celebrate in relaxed style. We are delighted to present couples who book their wedding reception at the resort with special accommodation rates for your wedding guests. A beautiful location, with everything that you need for your special day.